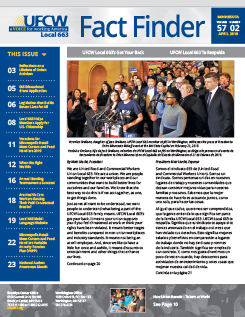 Below are our Fact Finder Newsletters, click on a month to open the PDF file. 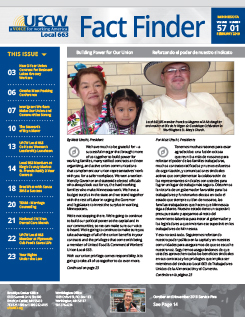 Sign Up to receive the Fact Finder Newsletter in your email inbox. By signing up you agree to receive UFCW Local 663 news and other messages. You may unsubscribe at any time. Yes, I would like to receive text messages and Action Alerts from UFCW Local 663.